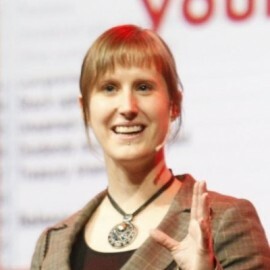 Felienne is assistant professor at Delft University of Technology, where she researches programming for everyone. Her research has focused on the application of software engineering methods to spreadsheets and to programming for children in Scratch. One of Felienne’s biggest passions in life is to share enthusiasm for programming with others. She teaches a group of kids Lego Mindstorms programming every Saturday, serves on the board of Devnology, a Dutch developer community that organizes monthly meetings on all things software, and is one of the founders of the Joy of Coding conference, a one-day developer conference in Rotterdam celebrating the joy and art of programming. If she is not coding, blogging and teaching, she is probably dancing Lindy Hop, out running, watching a movie or playing a (board)game.